I have a specific animal who I want to adopt. How does that work? Our adoptions process is typically on a first-come, first-served basis. This means that we do not place animals on adoption hold who are not yet ready for adoption (e.g., before they've been spayed or neutered). You are welcome to call each day to check on a particular animal, and we will do our best to provide you an approximate timeline of when the animal will be ready for adoption. Sometimes, there are multiple people interested in the same animal, so we recommend coming early on the day they're available. You can facilitate the process by filling out the pre-adoption questionnaire in advance. This can be done in person anytime during our open hours or online. Do I need to own a home to adopt? No, you do not need to own a home to adopt a pet from SICSA. If you live in an apartment or rented accommodation, we will discuss your pet policy and any potential size or breed restrictions. If necessary, we may contact a landlord or housing complex to verify. In most cases, yes. If an adopter needs time to arrange an introduction with another family member or pet or speak with their landlord, we will typically accommodate an adoption hold up to 24 hours. Are your animals spayed and neutered? Yes, all animals adopted from SICSA are spayed or neutered. They are also current on vaccines and microchipped. What if I'm unsure an animal will be a good fit in my home? During our adoption process, we strive to make good matches between people and pets; however, we recognize that there can be some unknowns in terms of how an animal will fit into your home. Slumber parties can help alleviate some of those concerns! Slumber parties allow you to take an animal home for a specified amount of time to see how they do in your home environment before committing to an adoption. Not every animal will be eligible for a slumber party, so talk with the adoption staff during your visit to find out more information. Can I return the pet if it doesn’t work out? If you are having an issue with your adopted pet, SICSA offers behavior and training support through our Dog and Cat Enrichment Programs. However, we recognize that sometimes a pet just isn't the right fit for a home, and we do our best to accommodate all adoption returns. If it has been longer than 3 months, the pet will need an appointment for a behavior and veterinarian evaluation. Please call for an appointment. Intake fees may apply. Do my pets at home have to be up-to-date on their vaccines for me to adopt another pet? For the safety of your pets at home, we prefer for them to be up-to-date on vaccines and receive regular wellness care. However, we recognize each situation can be different and will discuss veterinary care expectations during the adoption counseling session. Can I place an animal on hold? We do not place holds on animals who are not yet available for adoption. When they become available, they are generally adopted on a first come, first served basis. However, we will place an animal on hold for an approved adopter for up to 24 hours if they need to make arrangements with a landlord or housing complex or to arrange a meet and greet with other family members or pets in the home. What are the prices for cat adoptions? Includes veterinary assessment, spay/neuter, microchip identification, up-to-date vaccines (based upon age and medical history), and take-home carrier. What are the prices for dog adoptions? Includes veterinary assessment, spay/neuter, microchip identification, up-to-date vaccines (based upon age and medical history), Montgomery County dog license, and slip lead. *Montgomery County dog license is included in the adoption price. (A dog license is required by law in the state of Ohio). Why are some adoption fees higher than others? To SICSA, each and every animal - regardless of breed, age, size, appearance, temperament, or health - has inherent value. As a nonprofit, no-kill Pet Adoption Center that receives the heartfelt support of a community of animal lovers and advocates, we are deeply moved by any animal who faces obstacles along her or his path to finding a loving Forever Family. This is why we take responsibility to ensure that even those animals who may require months to find homes of their own have a fair chance at capturing the heart of a family. Regardless of breed, age, size, appearance, temperament, or health, all adoptable dogs and cats receive food, housing, veterinary treatment, vaccines, socialization, grooming, and, of course, love. Some dogs and cats, however, have unique needs that require from SICSA much costlier and more extensive care. Because animals whose needs are more specialized often require more resources than other more easily adoptable animals, SICSA must strike a balance between an affordable adoption fee, and one that will cover not only the costs associated with the newly-adopted animal's care, but also enhance SICSA's ability to extend its vision - Saving Lives, Sharing Love - to animals who are chronically ill, behaviorally challenged, undernourished, elderly, or likely to be passed over by potential adopters. SICSA's variable pricing ensures that the adoption fees received by adopters will perpetuate SICSA's vision in a way that effectively and compassionately guides all animals in need toward Forever Homes of their own. Do I need a fence to adopt a dog? Not typically, but in some cases SICSA requires an adopter have a fenced yard due to the dog’s character traits to make sure he or she is safe in the new home. SICSA promotes the welfare and adoption of companion animals, and nurtures loving, lifelong relationships between animals and people.  To support our mission, SICSA offers numerous animal-centered programs and services for families and children.